By Jacob Abbott. Part six of an eight part series on the history of America from its earliest times through to the age of George Washington, told by master storyteller Jacob Abbott. This volume provides a fascinating and detailed account of all the events that led up to the opening military engagements of what became the American Revolution. 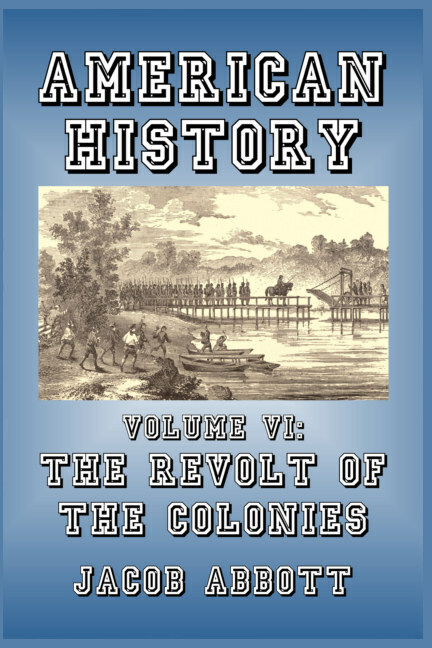 Starting with a discussion of how the concept of government, independence, and liberty took root in the thirteen colonies because of their unique social makeup, the author moves on to contrast this with the commercial and economic demands of England. The introduction of the Stamp Act and its effect upon the colonies is treated with objectivity and the author fairly reviews both sides of the argument—and discusses many of the excesses committed by individuals on both sides. As events sped up, the clock was set in motion for a military clash. 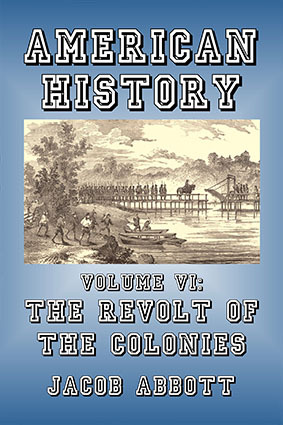 The exploits of, among others, John Hancock, Samuel Adams, James Otis, and the other major players are revealed in gripping detail, along with the heavy-handed Boston Massacre, the burning of HMS Gaspee, the Boston Tea Party, and the Battle of Lexington—when the British finally realized that they were no longer dealing with unhappy colonists, but a full-fledged rebellion. Jacob Abbott (1803–1879) was a native of the state of Maine who was a professor of mathematics and natural philosophy, a minister, and founder of two schools (the Mount Vernon School for Young Ladies in Boston and the Mount Vernon School for Boys, in New York City). He wrote more than 180 books and became famous for his easy-to-read style of historical storytelling, stripped of the dry dustiness which characterized other texts.